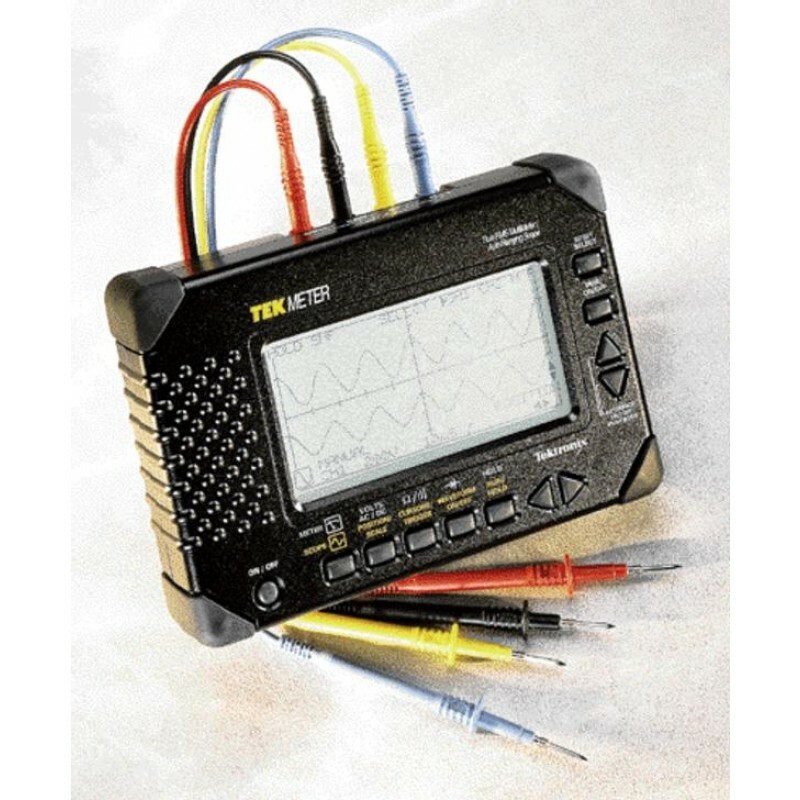 The Tektronix THM560 True RMS Multimeter/Autoranging Scope combines the functions of an autoranging digital multimeter with the ability to display waveforms. The THM560 features a 3.75 digit LCD display with bargraph. The THM560 produces the waveform display with the press of a button. The THM560 measures true rms AC/DC voltage, AC/DC current (with optional current probe), and resistance plus diode test and continuity checking.